Selection of fungi from Mynydd Ddu. 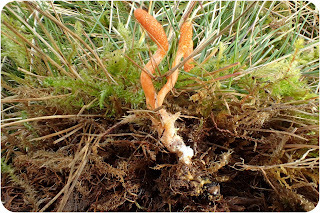 Last Sunday we ventured onto Mynydd Ddu searching for waxcaps and anything else that might turn up. Thankfully it was a nice sunny day as this is not the place to be if the weather turns against you. We met in the usual car-park on the winding road heading back to Llandeilo and did a circuit around. Plenty to be seen especially Crimson Waxcap, Hygrocybe punicea, which seemed to cover the mountainside in some places - slightly off-colour now but must have looked super last week. Caterpillar Club fungi growing out of the remains of some poor grub. 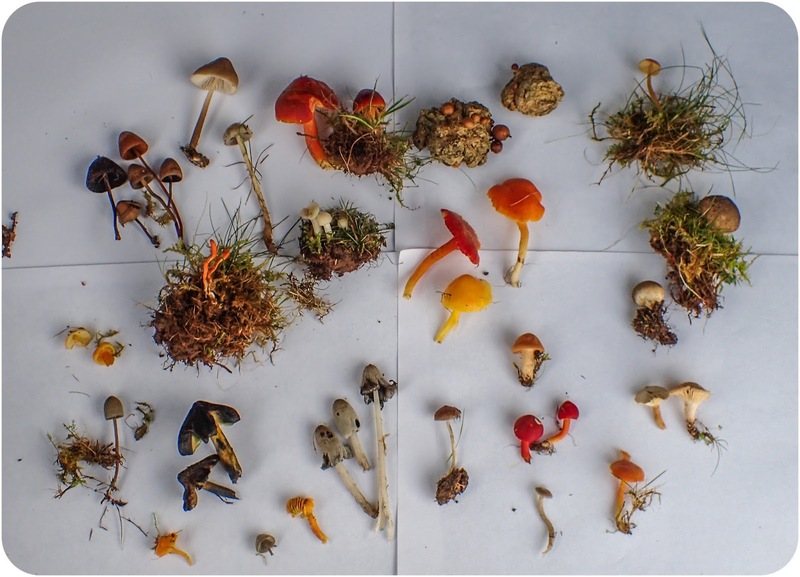 Had a fair haul in the end with over a dozen waxcaps, various corals, spindles, puffballs and an unusual inkcap, plus a nice Caterpiller Club, expertly spotted by Di, which we dug up to see what he was eating. Perhaps the best find of the day however was Linda finding the bag I had left on the mountain alongside some photo opportunity or other, and thought was gone for good. 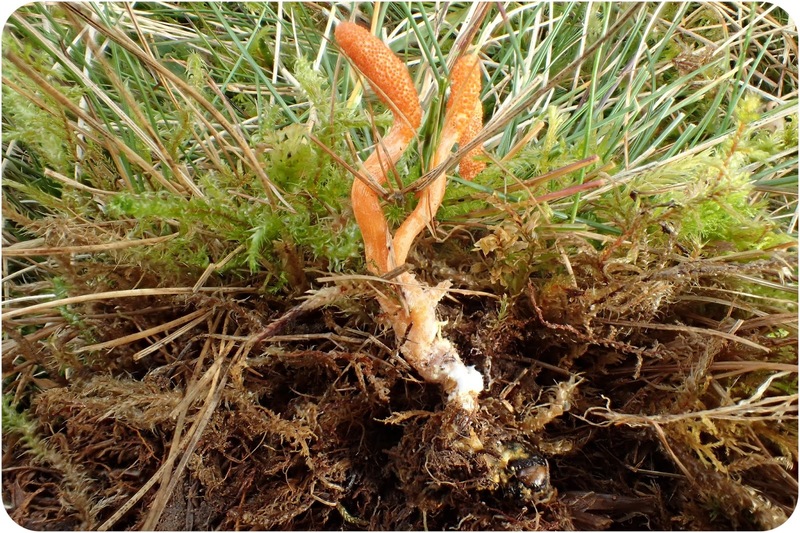 For a list of Fungi found please click here. Nice list there Colin - this site always has a superb display of fungi, and must be the best site for grassland fungi in the county. I went up there again today - still lots out but becoming desiccated in the biting cold wind.